This easy to grow succulent produces fleshy leaves on thick branches that combine into a lovely tree-like form. In bright light, leaf edges may tinge red. 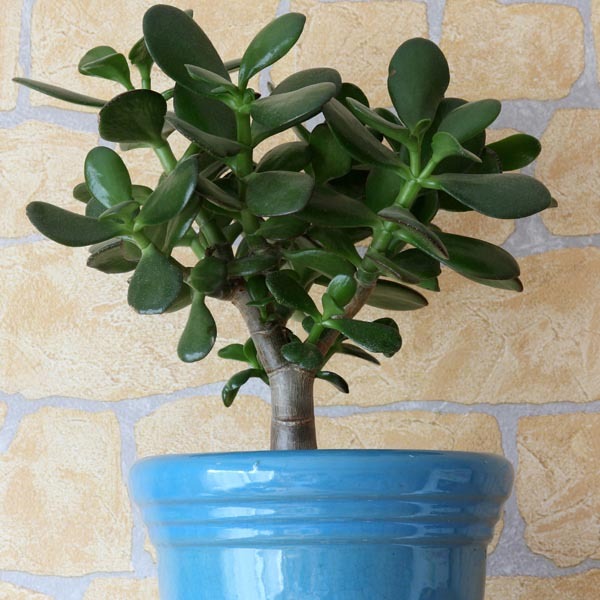 This is a great plant for anyone wanting a low-maintenance plant or who is inexperienced with houseplants. Jade can tolerate neglect and still look beautiful. The distinctive round leaves and rigid branching habit add a modern, architectural feel to a room. Performs best in gritty well-drained soil. Allow soil to dry out between waterings. Avoid overwatering and limit water during winter months. Prefers warmer temperatures.